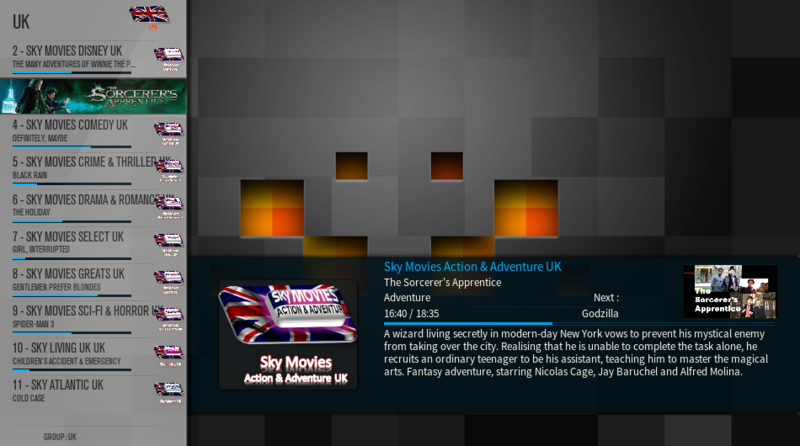 If the addon has downloaded artwork for PVR is it possible to get the path or url for this artwork via json? How would the json request look like? I recently got troubles with my ArticZephyr widget to see "Next Episodes". As soon as I finished an episode, I reopen it and it needs to refresh "Content Loading" is displayed but it never ends until I reboot and after it's up to date. So I checked my logs and find this: Skin Helper Service --> Deprecated method: nextepisodes." Could you extend the similar widget feature once more? I would love to see getting results based on a provided ListItem.DBID instead of the IMDB number. So we get random movie results from the same genre. (2018-02-25, 12:02)Solo0815 Wrote: [ -> ] Is there any development going on? Yes, but slowly atm because I’m busy with our new house. @marcelveldt or @Angelinas perhaps, can you tell me how SHS handles disc art for multiple disc albums? Say CD1 and CD2 have different (round) CD images, how are these named? How does the skin reference them? (2018-05-01, 18:45)DaveBlake Wrote: [ -> ] @marcelveldt or @Angelinas perhaps, can you tell me how SHS handles disc art for multiple disc albums? Say CD1 and CD2 have different (round) CD images, how are these named? How does the skin reference them? Hi @marcelveldt I wasn't doubting that it did it, but more interested in tech details. I'm looking at core Kodi picking up a range of types of local music art files automatically as part of scanning/scraping. I very recently sorted out how files called folder.jpg (or anything matching the values given in <musicthumbs> tag in advanced settings.xml) in a disc set subfolder is handled. The names of the subfolders don't matter, only that the music files within them are tagged with a common disc number. The subfolder folder.jpg files are added as album art, and named "thumb1", "thumb2" etc., "thumb" comes from the folder.jpg within the parent the album folder. Of course most people are not interested in disc cover art - some boxed sets have it, most don't, not even sure it is available online. It is (round) CD images that are more common and popular, so I am expanding to include those or anything else (as yet not dreamed of). My idea is to generalise approach taken with tumbs so that any art in a disc subfolder (limited to a whitelist held in advanced settings.xml) will be added as album art, and art type coming from the name of the file (minus ext). For example, having added "discart" to the whitelist then files in the subfolder called discart.jpg or discart.png would get added as album art "discart1", "discart2" etc., format = <type><discnumber>. Skins would then access this via ListItem.Art(discart1) for album items, or for song items ListItem.Art(album.discart1). How does that seem? How does it compare with what SHS already does? Can someone assist me on this one? I also have some trouble with Skin Helper Service. Since some days i get the well known "Skin Helper Service Error" when i startup Kodi. I've really read a lot on this forum and others and tried out all fixes but nothing seems to work. Iam using Kodi Jarvis on a Android TV Box. Already updated the Skin Helper Service from 1.1.3 to the latest version 1.1.24 but nothing changed. Like you can see there is also something wrong with cherrypy and i updated it to the latest version 11.0.1.002. But still the same issues. 05:33:32.001 T:3496989552 WARNING: Previous line repeats 4 times. Trying to implement forced views but my effort appears doomed to failure. Unable to nail a context using Container.content it seems shs falls back to less conclusive means like string tests on folder paths. 0. Looking at the log file it seemed like the main cause of the error is the "ImportError: No module named argparse" -- see log snippet below. 1. Inside script.module.cherrypy folder is "portend.py which tries to import "argparse" module. 2. Argparse module is not available by default on Python version 2.6. which is what kodi jarvis uses. 3. Argparse module is available by default starting Python version 2.7 and up. 5. I installed it and got rid of the pop up "Skin Helper Error" however, for some reasons that is currently still beyond me, Kodi Jarvis would crash or close after about 20 secs of opening, which in essence, made it worst. Maybe skin helper isn't compatible with Jarvis. Jarvis is long outdated what is the reason for not upgrading?